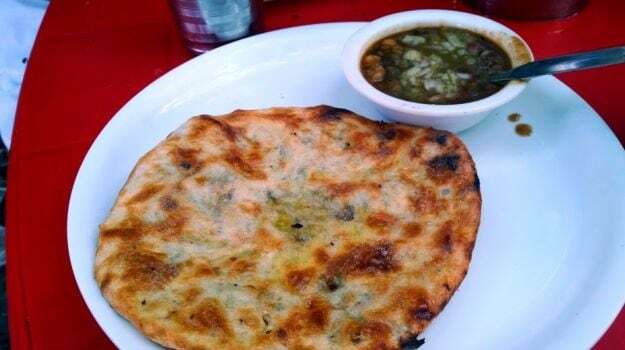 “You will really love the kulcha here. Please believe me. I know you are tired and want to get back to the hotel. Let us stop the bus for just five minutes. I will go down and get you the kulchas. You sit in the AC. Trust me”. We were tired. We had woken up at four in the morning to see the Palki Sahib procession at the Golden Temple in Amritsar where they bring out the holy book at the crack of dawn. We tasted the divine kada prasad there, and then went on to Kanha Sweets to have a lavish breakfast of pooris and potatoes, where we also tried a very interesting sweet and tangy curry which we washed down with a glass of lassi; followed by Gulab Jamuns at Sharma’s. We walked down the lanes of Amritsar in the sultry heat to the Jallianwala Bagh as part of a heritage walk run by Punjab Tourism. In between, we stopped to eat jalebis, freshly fried at Gucharan Das in Jalebiwala Chowk. It was possibly one of the best jalebis I have ever tasted. It was hot. We were tired (did I mention that already?). All we wanted to do was to get back to the hotel and have a shower and rest a bit so that we were fresh for the evening. We groaned at the prospect of getting down and at the thought of more food. But then, this entreaty was coming from a chef of a Michelin-starred restaurant in NYC, Junoon, and a judge of MasterChef India, the heartthrob of many cookery show fans on Indian Television, Chef Vikas Khanna. We were in Amritsar as part of a food tour organised by a mobile phone company to test their phone camera and to attend the launch of Vikas Khanna’s book in Amritsar. Vikas Khanna, an erstwhile Amritsar boy, took it upon himself to be our de facto city guide. His enthusiasm was infectious. He would break into Punjabi, and run from place to place chasing childhood memories while we tried to catch up with him. He didn’t believe in handshakes and would hug everyone. From elderly aunties to the gentleman selling aam papad. The smile would never leave his face. How could we not be touched by his enthusiasm? So we did get down from the air-conditioned cocoon of the bus and joined Khanna at the Maqbool Kulcha Shop, which he had written about in his book too. It was an open shop with a thatched cover. There were a few plastic chairs where families sat and ate kulchas. Khanna ran (the secret of his slim frame?) to the oven in which the kulchas were being made and said “this is where I learned to make kulchas. When I first came here, I was shorter than the oven. They used to use this as a measure for my height”. We tried the freshly made kulchas and they were indeed way better than the ones we had outside a shop near the Golden Temple earlier that morning. I asked Khanna the name of the shop where we were and he said “just ask anyone for kulcha shop at Maqbool Road”. “Does the Taj Mahal need an address?” he asked with good-natured Punjabi drama. This shop is also known as the All India Famous Kulcha and I had first read about it in Pamela Timm’s book Kheer, Korma & Kismet. The next afternoon I was waiting at our hotel, The Holiday Inn, for the bus to take us to the airport. Lunch was arranged for us at the hotel buffet but I decided to step out to a restaurant called Kulcha Land outside the hotel. Kulcha Land has two dishes on the menu. That’s it. Potato or Paneer Kulchas. 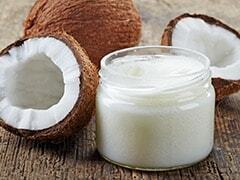 You can have lassi with it. It is more ‘grand’ than the Maqbool Road Kulcha Shop as it has a room where people can sit on plastic chairs and tables strewn around and eat. I decided to sit at the tables kept outside by the road, closer to the kulcha ovens, and see life passing by while I had my kulchas. My table mate was Sukhvinderji, an elderly Sikh gentleman, who is a Gram Panchayat Sarpanch. He told me that he has been coming to Kulcha Land for years, whenever he comes to Amritsar for work. The owners of Kulcha Land had set up the restaurant 70 years ago near the Golden Temple or ‘sheher’ as the city centre is called. 35 years ago, they moved to the current location which is known as New Amritsar. The kulchas were delicious here too. I was a bit intrigued by the kulchas that I ate on my trip. 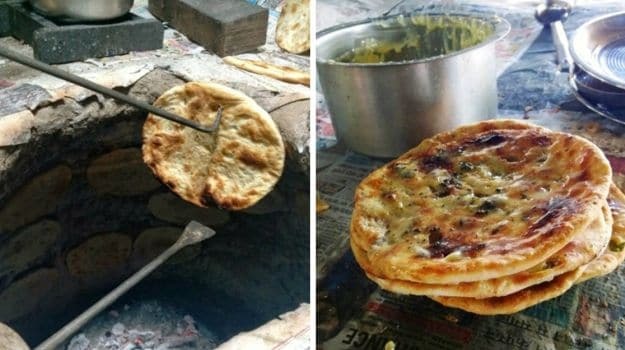 They seemed a lot like the parathas that we had eaten at Murthal, which were baked in a tandoor and not fried on a tawa. So I went to the kitchen and asked the cooks about this. They explained to me that kulchas are made with maida or refined flour while parathas are made with whole wheat flour. The traditional filling of kulchas are either spiced mashed potatoes or crumbled paneer or Indian cottage cheese. Kulchas are always served with chole, the spicy chickpea curry. A generous dollop of butter is added on top of it. A good kulcha is crisp outside while the stuffing inside is soft, moist and flavour-packed, leading to a multi-textural and multi-sensorial culinary experience. Do let them cool down a bit before you bite into them. A visit to Amritsar would be incomplete without visiting the Golden Temple. If you are in the vicinity, you could also try out the 50-year old shop, Bhai Kulwant Singh, for kulchas that the locals vouch for. During my trip, I came across some Delhi-ites who mentioned that the kulchas at Amritsar were different from those in Delhi. I brought up this issue with Jaideep Riar, a proud Amritsarian who prides himself on going beyond the beaten track when it comes to food. 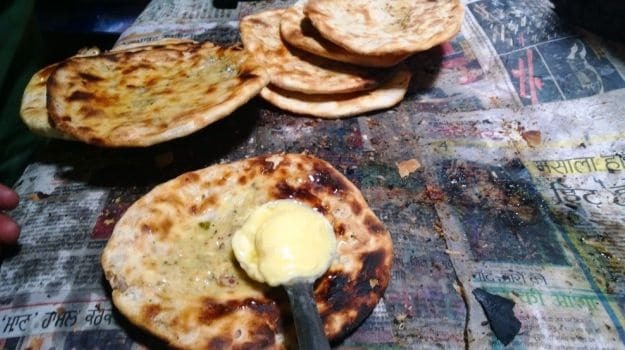 Jaideep has lived in Delhi too and explained that the Delhi kulchas were basic stuffed Tandoori Rotis while in Amritsar, they are layered like a puff pastry. The Amritsar version uses yeast risen dough. Jaideep insists that kulcha choices are very subjective as the spices and chutneys and stuffings differ from shop to shop. His house is divided between the Maqbool Road Famous Kulcha and Monu Kulcha Hutat Lohark Road near Ranjit Avenue. 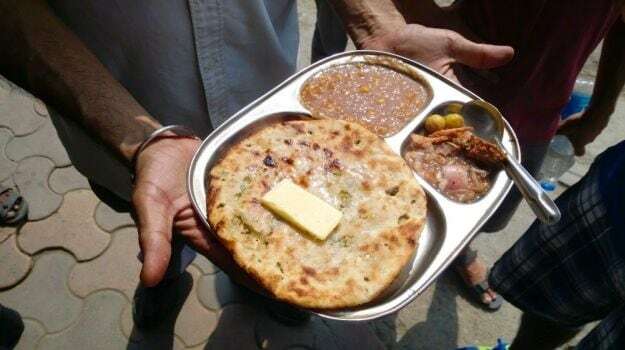 Some of the other kulcha places they go to are Ashok Kulcha at Ranjit Avenue and Harbans Kulcha at Green Avenue. 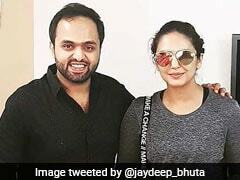 Jaideep has even explored many small kulcha places in the walled city. Though Jaideep is a hole-in-the-wall kind of food lover, but he feels that the kulchas at the ‘big boys’ are better. My tryst with Amritsar was not over and I was back later in the same year. This time for a dhaba trail led by another MasterChef India judge, Delhi boy, five-star hotel chef and TV show host, Chef Kunal Kapur. We were at the Holiday Inn once again and had kulchas for breakfast on Christmas at Kulcha Land along with a cake baked for our group by an Assamese lady who had come from MP to be a part of the tour. It was here that I came to the profound realization that winter is the best time to eat in Amritsar. A few days later, I met Chef Kunal and his family at Diya in The Leela Ambience Gurgaon Hotel & Residences with my brother and sister-in-law. Kunal cooked us an amazing Indian meal, which had its inspiration from various parts of India including my native Bengal. Kulchas didn’t feature in the meal though. They did the next night when I had the tasting menu cooked by Chef Shantanu Mehrotra in Manish Mehrotra’s Indian Accent. I had the Bacon and Duck Kulchas there which according to me, were the show stoppers in a pretty lavish meal that night. The sort of flavours that stay with you long after a great meal is over. Postscript: Amritsaris have an interesting take on why their food tastes different. “It’s the water of Amritsar” explained Devenderji of Punjab Tourism when he took us on a heritage walk in Amritsar. A memory that came back when I was off on a heritage food walk in Mumbai’s Fort a few days back. I had stopped at Ideal Corner, a Parsi restaurant, for dhansak. I spoke with Parvez Irani, the quiet and smiling owner of Ideal Corner for a bit. This was a world far away from Amritsar and its kulchas. As I dug into my dhansak, I started chatting with the young man who was sharing my table. He told me that his name is Avinash Gupta. He and his brother, Pankaj, run a few restaurants and cafes including a Punjabi vegetarian restaurant chain called Oye Kake in Mumbai. The brothers had apparently spent more than half a year in Amritsar researching recipes before opening Oye Kake five years back. Avinash’s favourite kulcha places in Amritsar were the dhabas such as Sanjha Chulha and Kesar da Dhaba. He liked the kulchas in Kesar so much that he actually hired a cook who had worked at Kesar for 30 years to be the tandoor chef at Oye Kake. Thanks to this gentleman, the brothers transport 40 litres of water from Amritsar to Mumbai by train every single month to mix in the kulcha dough at Oye Kake. Such are the passions evoked by kulchas! Kalyan loves to eat and he loves to talk about all that he eats. His wife urged him to start writing about it, otherwise she would have to hear it all. He blogs as 'finelychopped' and is the editor at large for the India Food Network.